Patriot, a global leader in performance memory, SSDs, gaming peripherals and flash storage solutions, announces the compatibility of its Viper 4, Viper Elite and Signature Line DDR4 with the new AMD Ryzen and AM4 platforms. After extensive compatibility testing on X370 and B350 chipsets, using the AMD Ryzen R5 and R7 processors, and in partnership with key motherboard vendors, Patriot has developed a list of Ryzen compatible DDR4 parts. "After working closely with our motherboard partners, these compatible kits will deliver maximum performance at factory-tested speeds," said Victor Chiu, DRAM Product Manager for Patriot. 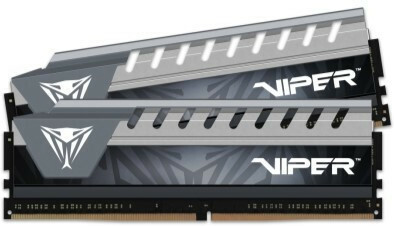 Offering compatible dual, quad and single configurations, with capacities ranging from 4GB to 64GB and speeds between 2133MHz and 3400MHz, Patriot Viper Elite, Viper 4 and Signature Line DDR4 Memory will provide both the every-day consumer as well as the PC enthusiast looking to upgrade their system to the new AMD Ryzen platform with reliable, award-winning, memory. 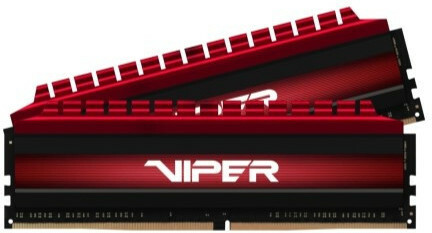 For a full list of compatible Patriot DDR4 Memory please visit this page. Testing was performed using the following motherboards: Gigabyte GA-AX370 Gaming K5 and GA-AX370 Gaming K7, MSI X370 XPOWER GAMING TITANIUM, X370 SLI PLUS and A320M GAMING PRO, ASUS ROG Crosshair VI Hero and PRIME B350-PLUS, ASROCK X370 Tachi, X370 Killer SLI, AB350M Pro4, Fatali1ty AB350 Gaming K4, AB350M-HDV, A320M Pro4 and A320M-HDV. Great that somebody is qualifying RAM on AM4. I wonder what they had to do to make these compatible, maybe looser secondary timings? Also wondering if 3400 is as high as the platform can use and remain stable. With RYZEN 7 1700 @ 3.9, the CPU passmark raise from 16200 (with a Kingston DDR4 2666) to 17190 (with viper4 DDR4 3333), but CPUZ benchmark doesnt seem to improve much. The next option on ASROCK AB350M is DDR3460, even with memory voltage up to 1.4v it will crash instantly when loading into windows. @@@@@@with my Viper4 DDR4 I donno if its the thicker heat-sink that act as an EMI shield. It produce less EMI radio radiation than other RAM. @@@@@@ better EMI shielding design will have greater stability? Thats why we tell everyone to check the QVL before buying ram for Ryzen boards. Did you update the BIOS with the AGESU 1.0.0.6 update? running my computer with the newest BIOS 2.5 with AGESU 1.0.0.6 update. still kind of finicky... still need to manually change things to make things running close to the advertised speed. something very strange the working Kingston Fury 2666 worked as atvertized without have to change any bios setting. after testing the board with a ADATA DDR4 3000mhz. the Kingston DDR4 2666 refused to run and boot with 2666. but will boot up when set to 2400. BTW, do not buy UMAX DDR4 2400, they will only be recognized as 2133 and if you have two stick the motherboard will only let you use 1 stick. (windows will show total of 16GB (8x2) but only 8 gb usable . I can boot up to 3466 but don't go through crass tests. Cool memory, cheapest in my country at that speed with Ripjaws 3466 being like 30 euros more expensive.